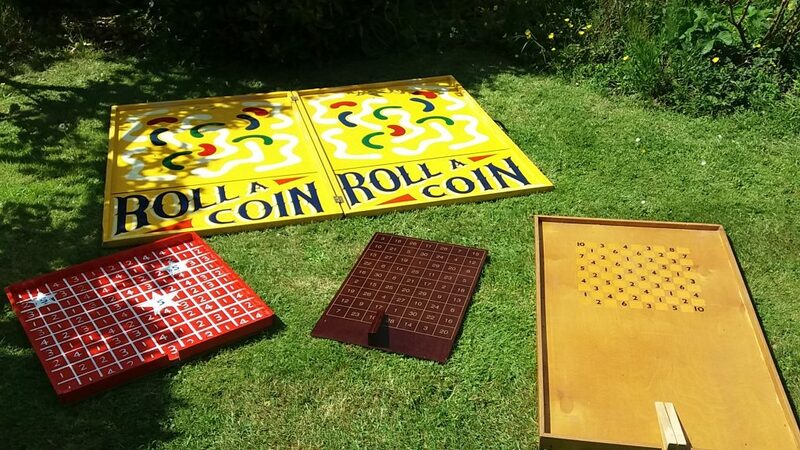 Traditional handpainted wooden roll a coin fete game. 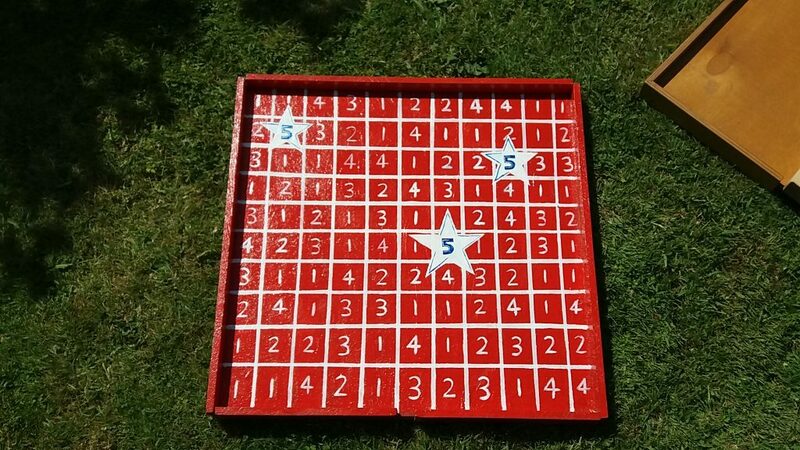 This game requires a table but includes the playing board and two chutes. Players roll a coin down the chute, if they land on star or number they win! Size is 50 cm squared.